Company accused of “astroturfing” CRTC hearings. A leading Canadian expert on internet law is accusing the company of "astroturfing" a CRTC consultation on the future of media in Canada. A leading Canadian expert on internet law is accusing media giant Bell of "astroturfing" government hearings on the future of the internet by urging its employees to back a web censorship plan. Geist posted the memo to his Twitter account. In a later tweet, he said Bell's move "meets the classic definition of astroturfing," the practice of making a corporate or political campaign look like a grassroots movement. "There is nothing on the materials I was provided that indicated Bell also encouraged employees to disclose their affiliation to the company," Geist wrote on his blog. He noted that Bell has gotten in trouble in the past over similar practices. In 2015, the company agreed to pay a $1.25-million administrative penalty after the Competition Bureau accused it of planting fake reviews of its app on the iTunes App store and Google Play store. In those instances, reviewers failed to identify themselves as Bell employees. 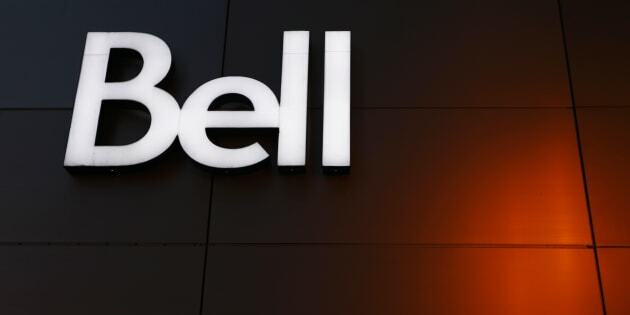 Bell has led the movement to create an agency in Canada that would block access to websites accused of engaging in piracy. Last year, the company urged the federal government to make creating such an agency part of NAFTA negotiations. With the launch of FairPlay Canada last month, that movement has shifted focus to Canada's telecom regulator, the CRTC. Under FairPlay's proposal, the CRTC would oversee an "Independent Piracy Review Agency" that would create a blacklist of websites accused of allowing access to pirated content. Internet providers would be required to block access to those sites. "The jobs of hundreds of thousands of Canadians who work in the creative sector are at risk as a result of increasing online piracy, from songwriters and set builders to makeup artists and local news reporters," FairPlay said last month. Numerous other media organizations have signed on to the FairPlay campaign, including the CBC, Rogers Media, Corus Entertainment and Cogeco. It also includes cinema chains Cineplex, Guzzo and Landmark, and a number of unions involved in the media industry. But Geist and other critics of the plan say Canada's existing copyright protections are already robust, and a blacklist of banned sites goes too far. In a blog post this week, Geist argued that the existence of such an agency would almost certainly lead to legitimate websites being blocked. "We identified numerous instances around the world in recent years where anti-piracy blocking resulted in over-blocking of legitimate sites," he wrote. "For example, in 2013, UK ISPs blocked access to around 200 legitimate websites including Radio Times. The blocking occurred as a result of a court order targeting two file sharing websites. There have been many similar instances in the UK including the 2012 blocking of the Promo Bay and the 2015 blocking of CloudFlare customers." The CRTC's 30-day consultation period, which ends March 1, has so far received more than 5,400 public comments, most of them against the cause of a website blocking plan. The consultation comes ahead of a June 1 deadline that Heritage Minister Melanie Joly established for the CRTC to present a report to cabinet on the future of broadcasting in Canada. The CRTC has given no indication yet of how it feels about the website-blocking proposal. HuffPost Canada has reached out to Bell for comment.